Her family stems from Washington for six generations. She lived in Bellingham as a small child before living in Taiwan, Italy, Oregon, California, New Mexico, and eventually spending most of her life in Arizona. She has raised three beautiful daughters and is lending a hand in raising three step-daughters. She has four Grandsons, a couple adopted Granddaughters and several Fairy Goddaughters that she has collected over the years. Dawn is an 800 hour Graduate of the Yoga Therapist Program at Spirit of Yoga and Southwest Institute of Healing Arts in Tempe, Arizona. Her training also included 100 hours of Yoga Nidra, a deep guided meditation. To complement this program, she was trained in Transformational Life Coaching and Yoga Coaching. To round things out, she also studied Aroma Yoga, Thai Yoga Massage, Crystal Healing, Ayurveda, and Hypnotherapy. 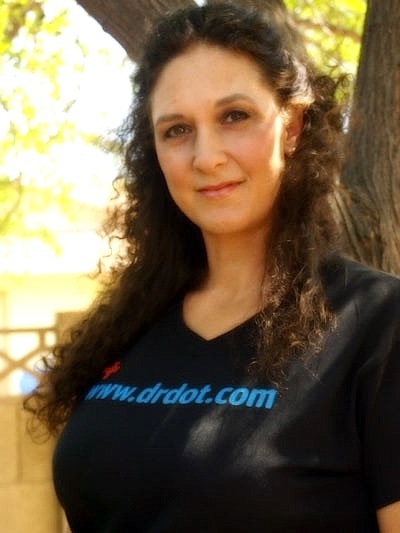 In the year 2000, Dawn earned the country's first Associates of Applied Science Degree in Therapeutic Massage with a specialty of Sports and Spa Therapies at Rainstar University in Scottsdale, Arizona. She was invited by the administrators of the school to earn the degree before it was offered to the public paving the way for students all over the country to be able to take their education to a higher level. Outside of the classroom, Dawn continuously works on her own personal growth through various workshops and seminars. She discovered PSI Seminars in the Spring of 2007. It was the catalyst for her personal life transformation. It began with the Basic Seminar, a four day experiential personal growth workshop. She then attended two of their retreats on a ranch in Clear Lake, California. The first was PSI-7, a seven day intensive personal growth retreat where she learned to face her fears and keep moving forward. The second was a 10 day retreat focused on women's leadership. It was here she learned to appreciate her own value as a woman and to appreciate all the women around her. To practice applying these new tools, she joined a 90 day goal setting leadership team with several other like minded people. This was when the real transformational work started. Every day for 90 days, she was accountable to her team and a personal coach to stay focused on her goals. After that experience, she joined another leadership team focusing on wealth and community service here and abroad. This team started a community service Christmas program in the inner city of Phoenix, Arizona and also traveled to Egypt to spend some time with the children just outside of Cairo. Taking all of this experience forward, she was invited to be a coach on the next 90 day leadership team. This is when she discovered she wanted to coach people as a career. When Dawn isn't working, she enjoys all things creative and artistic. You can find her at one of the local coffee shops or anywhere she can browse through shelves of books. She enjoys spending time with her family and friends, being outdoors, and learning new things. Gardening and cooking are two things that relax her. If you see her out somewhere, be sure to say "Hi!" and introduce yourself!